The Agricultural Academy of Japan, a professional academic organization for agriculture, held a press conference on their proposal to conduct a confined field trial of various GM crops, with priority to herbicide tolerant GM sugar beet in Hokkaido farms. The media briefing was held at the Ministry of Agriculture, Fishery and Forestry in Tokyo on March 1, 2017, and attended by representatives from 10 media outlets in the country. 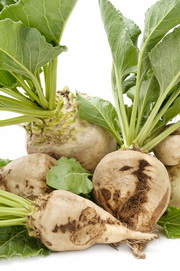 The proposal aims to conduct a field trial of GM crops, especially herbicide tolerant GM sugar beet to confirm the cost-cutting benefits of the technology enjoyed by HT sugar beet planting countries such as the USA and Canada. The non-labor intensive technology saves cost from labor, weeding activities and utilizes direct seeding rather than the planting of seedlings. The proposal was made by the Academy to the national government and Hokkaido government, the first of its kind, which is hoped to resonate to other places in Japan so they will also benefit from the technology. The proposal was uploaded to the Academy website and forwarded to Governments and their research institutions, as well as to relevant academic associations.